Microsoft Excel is a popular spreadsheet program. Chart is one of the most important features of the Excel program. One can adjust the chart according to his or her need. Here, necessary instructions are given to print charts and tables in Microsoft Excel 2007 and 2010 versions. Enter into the worksheet where the chart is. Go to the View tab, click on the Page Break Preview or Page Layout from the Workbook Views. Drag the chart on the page where you desire to print. If anyone wants to change the size of the chart, then he can do any of these. He can resize the chart by clicking on the chart and dragging the sizing handles. He can also go to the Format tab and enter the height and width of the chart. To print multiple charts in one page, one can resize the charts. Click on the worksheet, then on the MS Office Button, then on Print. By default, under Print what, active sheets are selected. It will be better to see the preview of the page by clicking on the Preview button. By default, the gridlines will not appear on the printed page. To print the gridlines, go to the Page Layout, then Sheet Options and tick the Print box under the Gridlines. Click on the chart you wish to print. Then click on the MS Office Button, then click Print. To see the preview of the printed page, click on the Preview button. Click on the Launcher button from the Page Setup on the tab of Page Layout. Now from the Page tab you should select necessary buttons and specify the orientation, print quality, paper size, and page number. Click on the Margins from the Page Setup which is on Page Layout tab. You can use any predefined margins. To do that click the option that you like. For custom margins, go to the Custom Margins and enter your required sizes in the Right, Left, Bottom, and Top boxes. To set the margins of header and footer, go to the Custom Margins and set the sizes. To view the preview of the printed page click on the Print Preview. Set the margins in the print preview. To do that click on the Show Margins and drag the margin handles. Click on the chart which you need to print. Click on the Launcher from Page Setup which is on Page Layout tab. Select the print quality that you want, view the preview of the printed page by clicking on the Print Preview. Then click on Print to print the chart. Click on the desired worksheet. Click on File then click on Print. To use keyboard shortcut you can use CTRL+P. Here you should remember that the preview will be displayed in black & white unless it is configured. By clicking on the Next Page or Previous Page one can preview the relative pages. Do the following for setting the printing options. Select the desired printer by clicking the drop-down box which is under Printer. Select the desired options under Settings. For printing entire worksheet click on the necessary option from the scale options. If anyone is interested to print a certain portion of a worksheet, then the range should be selected. For printing an entire worksheet, just activate the worksheet by clicking it. Most of the common instructions to print tables and charts in Microsoft Excel are described here. To know more elaborately it is better to visit the Microsoft site. The associated help file can help you to find out necessary instructions to perform a task using Excel. You can get the help files by pressing the F1 key. Chart is an important feature of the Excel program. A chart can easily represent a group of data which may need hundreds of words if anyone wants to explain it. A chart can be accompanied by related data where necessary or you may want to send just only the chart. In normal emailing system, it is not usual to send a chart or a graph as a message. In many cases, you will have to edit the html code of the email to send a chart or an image as a message. Microsoft Office programs like MS Excel and MS Word have options to send charts or images including data as messages to the recipient. This option will make your email-sending task easier. Just not only that it will make the task easier but also it will make the message more attractive. If anyone wants to send a chart to his clients, then he should follow the following instructions. Open the Excel file where the chart is. For a new one, open a new Excel file and save it. Write down necessary data in the excel file and create the chart. Resize the chart if you need and set it in proper position where it will be suitable. See the Quick Access toolbar, if there is already the Mail Recipient tool, then ok. If the tool is not there, then click on the drop-down arrow and click on More Commands. Now from the Choose Commands list, choose All Commands and click on it. From the list find out the Send to Mail Recipient and click on add. Then click OK. The Mail Recipient button will be added in the quick access toolbar. Another way to add the Mail Recipient button in the toolbar is through the Office Button. Click on the button then click on Word Options, then click Customize from the left list. Now follow the above process to add the button to the toolbar. Now you should establish the internet connection to send an email to the recipient. Save the file and click on the Mail Recipient button. Computer will start task to establish a connection between your Excel program and the internet through an email account. Set any email account such as example@live.com with its password. The computer will check the email account; then it will send a sample message to that account. After establishing the connection, start the Microsoft Outlook and follow the instructions as the program prompts. Some buttons will appear on the task bar. The Outlook will be configured with the email account that you entered earlier. Now for convenience and to avoid problems, close all the open programs. Open the Excel program. Establish the internet connection. Select the worksheet where the chart and other necessary data are. Click on the Mail Recipient button from the quick access toolbar. 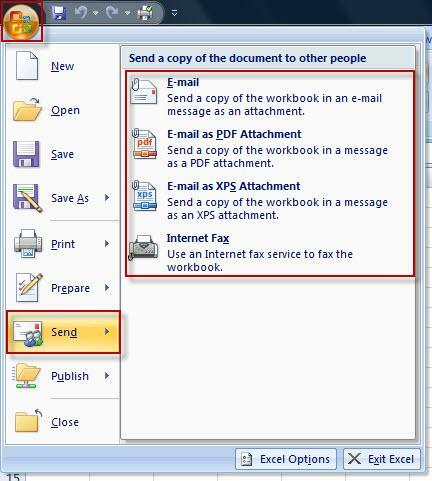 You will be prompted with two options whether you want to send the whole workbook as attachment or to send the sheet as a message. Choose the one which you like, for this time choose As Message and click OK.
Mailing layout will appear. In the To box write the email address of the recipient. The program will take the excel book name as the subject of the email. Change the subject if necessary. There is an introduction box; his will appear as the heading of the recipient’s message box. Write down something which will describe the whole message properly. Now the chart and other necessary data are ready for sending to the recipient. Above the To box there is a toolbar. There is a tool Send this Sheet at the left side of the toolbar. Click on the button, the message including the chart will be sent to the recipient. For convenience, test the process by sending an email to your optional email address and check the email box whether the message has been arrived properly. Following the above instructions anyone can send charts or images to the recipients he wants. To know more about this, search the help files and visit the Microsoft site. An Excel sheet can be saved as different CSV formats. An active sheet can be saved as CSV (comma delimited), DSV (Macintosh), and CSV (MS-DOS) formats. It is necessary to save a file in proper format to use it in another computer environment or computer system. A file also should be saved in perfect format to work with other software. Here necessary instructions are given to save an Excel workbook as a CSV file. CSV (comma delimited) format saves the file as comma-delimited text. It is done to use the file on another Windows environment. This file format will keep the line breaks, tab characters, other characters in such condition that they can be interpreted correctly. The Excel saves the file in CSV (comma delimited) format and it saves the active sheet only. Another option is CSV (Macintosh). Macintosh operating system is different from the Windows operating system. If anyone wants to use the CSV file in Macintosh computer, then he should save the file in CSV (Macintosh) format. The format will help to keep different characters, tab characters, and line breaks in such condition that they can be interpreted correctly. The active sheet will be saved only. CSV (MS-DOS) is another option. For using in MS Dos the Excel file should be saved in CSV (MS-DOS) format. This format will keep all the characters and line breaks in positions to be interpreted correctly. The active sheet will be saved only. Usually, there are two types of text file formats. One is delimited text files and another is comma separated values or CSV text files. In the delimited text or txt files, every field of text is separated by the TAB character. In the comma separated values files, every field of text is separated by the comma character. The separator character can be changed, this can be necessary for some export or import operation works. Here, it should be noted that up to 16384 columns and 1048576 rows can be imported or exported. To know more about the text file formats, you can see the help topics. To import a CSV file in Excel use the Open command. Click on the Office button and click the Open button, a dialog box will appear. Select text files from the list. Then double click on the text file that you wish to open. Excel will open the CSV file and will display the data. For more flexibility, import text wizard can be used. You can also import text files by connecting to them. For this, click on the cell in which you wish to put the text file. Then go to Data tab, click on From Text in Get External Data. Then locate the file and double click it. To set formatting, refresh, and layout options click on Properties in the dialog box of Import Data. To see the data in the existing worksheet, click existing worksheet; and to see the data in a new worksheet, click new worksheet. Then click OK. Excel will put the data in the specified location. To export data as a text file, you can convert the worksheet. To do this, use the Save As button or command. After clicking Save As a dialog box will appear. Choose the file format in which you want to save the file. To save in CSV, choose the CSV format. When you will save the file, the current sheet will be saved. To save other sheets, repeat this procedure. Another dialog box can appear to inform you that there may be unsupported features in the worksheet. Click yes to save the worksheet data or to know more about the Excel features you should read the help files. After clicking yes the worksheet will be saved as CSV file. You can export contacts to your Gmail by CSV files. Make a CSV file where the contacts will be in a table. The table will include name, email address, and home address. You can use more columns to store more information such as initial name, middle name, last name, phone number and so on. Save the file in CSV (Comma delimited) format; then import it to your Gmail. Microsoft Excel is commonly used by engineers for their speedy and competent computation. Since engineers deal more on database, Excel program aid them to easily compute their systematic computation. With this, the common function used by engineers in Excel is the BIN2OCT. This function changes a binary number to an octal number. The aspect that differ the two is the “base” that is being utilized. The common numbers are those that are utilized everyday, and these numbers are called base-10. When writing numbers, every place could contain one of the 10 numbers ? ?from zero till nine. In addition, binary is considered as base-2 but the required value is only two in each place; it is either zero or one. Octal is base-8, which is in every place must have eight values and the number is from zero up to seven. Only the binary numbers of up to nine digits can be altered through BIN2OCT, with an extra digit to the top tenth reserved for indicating the number sign (0 for positive and 1 for negative). The function formula of BIN2OCT is variable, which means you could place diverse things that suit your needs. Once a variable is in brackets square, this signifies it is not obligatory and not essential to be included. The [places] formula is the characters numbers to be utilized for the result. This is valuable for adding zeros to the outcome. Once [places] is blank, BIN2OCT uses the least characters number required. In Microsoft Excel 2007 the function was alleviated from the Analysis ToolPak add-in. It can be used as standard. In Microsoft Excel 2003, it is available if your program has Analysis ToolPak add-in. Once the number has greater than 10 characters, then the most important number character is the sign bit. The magnitude bits are the 9 remaining characters. Once the number is consist of 10 characters, the most essential bit signify sign bit for instance the first number, which could be negative or positive. Once the number has more than 10 characters, the #NUM is revisited. Once the number is greater than 0 two complement notations is utilized to represent number. Once the number is great 0, the [places] neglected and the 10 number is returned. Once [places] is not an integer then it is truncated. Once [places] is not a figure the value is revisited. Once [places] is greater than 0 the #NUM value appears. These are some of the things to keep in mind in order to use BIN2OCT formula efficiently. In order to effectively use Microsoft Excel, you need to learn all its function, because with all these available functions you could use the program in very limited time and very efficient manner. Most of the function is the short cut method of computation. Microsoft Excel is a spreadsheet program from Microsoft Corporation wherein it is the component of the Office group product for business applications. Commonly with its same products like Corel’s QuattroPro and Lotus 123, Microsoft Excel is considered an automated paper-based spreadsheet version. Thus, it makes it easier to process, manipulate and view the different data. Although, based on the report, Lotus 123 was the first spreadsheet software to introduce Macros and cell names. Microsoft Excel has implemented an interface graphical user and the ability to click and point using the mouse. Microsoft Excel is often used to calculate, manipulate, analyze, arithmetic and mathematical formulation. Conditional formatting is a kind of format setting on cells, which is based on the condition that is normally the cell value. Therefore, the user might have to do something such as putting the cell with color, which is different and if it’s more than a value. Through conditional formatting, the user could get the cells that calculate the results of the exam then displaying the word fail or pass. In Microsoft Excel, a reference is a type of data, which is referred as the rectangular cellblocks and a number of disjoint blocks of various cells. Excel uses a single type of reference cells on the present sheet, which is commonly known as the internal reference. In external and internal references, external reference contains the worksheet ID which also describes on which cells are being referred to. Internal reference is having without reference inside the sheet and it is understood that this sheet is the current sheet. External and internal reference differs in description. Thus, the data type of external reference describes multiple disjoints blocks of various cells on its similar sheet. Internal reference can describe exclusively one block on its current sheet. Any disjoint references can easily be passed to any different function taking the range argument. Microsoft Excel has different functions and formulas wherein the user must have to study and learn to create easily data on the spreadsheet. Microsoft Excel has different basic functions, which are used for calculating, formulating, manipulating, analyzing, formatting, engineering calculations, arithmetic and mathematical functions. These functions and formulas easily give you the idea on how to solve any problems occurring in your spreadsheet. One of these functions is called the ERFC function in Microsoft Excel. ERFC excel Function is a kind of Excel function, which returns the complementary ERF Excel function that integrates between the infinity and the x or the lower supplied limit. If ERFC function is not available, it returns the “#NAME?” error, the user must have to download or install the “Analysis ToolPak add-in”. The syntax for function is ERFC(x). X is the lower number bound to integrate ERF. If “x” is non-numeric, ERFC takes back the error value of #VALUE!. If “x” is negative, ERFC takes back the error value of #NUM!. In the description of the ERFC function in Microsoft Excel, it takes back the ERF function, which is integrated along the infinity and the supplied lower limit. #NUM! – this excel problem occurs in the Microsoft Excel or in the earlier version of the Microsoft Excel. It occurs when the supplied x value is negative. #VALUE! – occurs when the supplied x is a non-numeric. #NAME! – occurs when there is no downloaded Analysis ToolPak add-in or it is unable in your Microsoft Excel. Microsoft Excel is considered as a multifaceted software program that is extremely used in any office or accounting works. For over twenty years, Excel has spread its excellence and most of the business people use it. Most of them took for granted the widespread use of Excel and even the long-time accounting users never know how to handle small fraction. Microsoft Excel is an electronic spreadsheet and software program used to organize, manipulate, calculate and store data. It performs mathematical basic operations as summing up rows and columns of figures. It aims to find values such as loss or profits. It calculates plan for loans or mortgages repayment. It aims to search for the minimum, average and maximum values in a date with specified range. It used to chart or graph data assisting the users to identify the figures. It filters and sorts data finding the specific and detailed information. There are several hidden treasures in Microsoft Excel that most users are not aware of, which includes the formulas and functions. Excel has functions of less than 331 although most of them are utilized by engineers who in a way involved in high math level or statistics. Function is somewhat complex formulas that happened covertly. The user must need to memorize the function’s name and must know the proper use of it. The use of functions always bears to type the parenthesis sets and function names. Parenthesis holds single or either cell addresses. Formulas are the combination of the operator of cell addresses and functions. Formulas are needed to merge multiple functions or if there are no existing definite functions of what the user needs. Using both functions and formulas properly begin with a =, which is the technical reminder. Microsoft Excel has many different functions and formulas, which are often used with various usages. One of the functions is the IMARGUMENT. IMARGUMENT function in Microsoft Excel uses returns of the argument of an angle, which convey a radian to its supplied complex digit or number. The IMARGUMENT function syntax is IMARGUMENT(inumber). iNumber is considered the complex number. #NUM! – occurs when the supplied iNumber is not being recognized as the complex number. From its droop down tool menu, select the Add-ins options. Once the add-in pops up, choose the analysis toolpak option then click OK.
Hit the Microsoft button over the left of the spreadsheet and choose the “Excel Button” option. Select the Excel Add-ins inside the manage box then hit Go. Once it pops up choose the analysis toolpak option then hit the button OK. Utilize COMPLEX to convert imaginary and real coefficients within the complex number. IMARGUMENT is being calculated with its given formula. The development of Microsoft Excel formula in any of the Excel version can use the twenty-one signs such as =, -, +, # and many more plus the numbers of functions. Microsoft Excel versions of 1997 up to 2006 offers 329 functions and 5 new functions are added in Microsoft Excel 2007. Excel for all versions have 334 functions generally. Microsoft Excel has its basic and essential features of the entire spreadsheet that uses the cell grids arranged in columns for letter-named and numbered rows organizing manipulations for data such as arithmetic operations. It has billions of supplied functions answering all the queries for engineering, statistical and financial needs. Besides, Excel can display and feature data as charts, histograms, line graphs and a limited graphical and three-dimensional display. 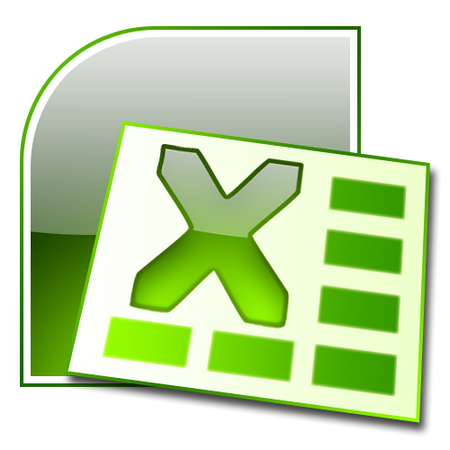 Microsoft Office Excel defined as the electronic spreadsheet program used for manipulating, storing, calculating, analyzing and organizing data. Microsoft Excel is the most helpful program in order to obtain an organized and well manageable data. It is difficult to use programs such as Microsoft Excel if you do not know the features and its functions. For beginners who use this software program, you must learn and understand first the Excel features and its functions. One of the important functions is the IMCOS function in Microsoft Excel wherein it returns cosine of the supplied multifaceted number. The syntax of the IMCOS function is IMCOS(inumber). The argument iNumber considered the complex number. Be reminded that the complex number is stored as “text” in Microsoft Excel spreadsheet. Once the text string in the a+bj or a+bi format supplied to a single built-in complex number in Excel functions. It is being interpreted as the complex number. It accepts easy numeric value, which is equivalent to the complex number whose “imaginary coefficient” is equal to zero. Therefore, the argument iNumber can supply the IMCOS function in Microsoft Excel. Just like a simple number or complex number encased with quotation marks. Having a reference cell, which contains numeric value or complex number, which is returned from other Excel formula or function? #VALUE! – this occurs when the supplied argument iNumber is not being recognized as the real or imaginary number. #NAME? – this happens when the analysis Toolpak add-in is not enabled in your Microsoft Excel. Thus, if you are to use the Engineering function in Excel, it requires the user to enable the “add-in”. From the drop-down tool menu, choose the Add-ins option. Once the window pops up, choose the analysis toolpak add-in option and hit the button OK. Within the manage box, choose Excel Add-ins then hit the GO button. Microsoft Excel is one of the software program manufactured and developed by Microsoft Corporation allowing the users to format, calculate and organize data through the use of one or more spreadsheet. Spreadsheet is kind of system that is composed of columns and rows. Microsoft Excel is compatible to other applications that are being offered by other product group. Multiplan is the first soft program similar with Microsoft Excel, thus in 1982, the first software was released. Software program in Microsoft Excel is organized information through the structure of the operating systems, programs, utilities and applications enabling the personal computers of the users to work. It is organize and written by most computer programmers with proper and significant code and instructions in different special languages of the computer. It also includes licensing agreements and requirements. The documentation in Software program has comprehensive information on the design details, limitations, features and capabilities of the software or systems application. Software manual also comes with printed document or an added software piece on CD or Disk. Microsoft Excel software program is a spreadsheet tool able to perform calculations, integrate information through any programs and analyzing data. It’s consists of organizational entities called workbooks. The standard workbook is comprised of chart sheets and worksheets. Worksheet or spreadsheets execute data organizing and storing, calculations, presenting controls and graphics such as web page. Thus, it is considered versatile because it is consists of million cells. Cells are responsible for storing formula that performs to communicate and calculate other application like database. Spreadsheets also present and store data. Spreadsheets or worksheets are usually used in businesses and engineering calculation and arithmetic functions. Microsoft Excel has numerous uses in Engineering and in business. It is very important that the user have the knowledge in Microsoft Excel to cope up with whatever data problem it may bring. Functions and formulas in Microsoft Excel have different usage. Its functions and formulas are used in engineering computations and some uses it to calculate and analyze. However, functions and formulas of the Microsoft Excel are often used in mathematical and arithmetic calculation, which is used in financial and accounting. One of these functions is the IMDIV. IMDIV function in Microsoft Excel returns its quotient of the two complex numbers within the x + yj or x + yi form. The syntax for the IMDIV Excel function is “=IMDIV(inumber1,inumber2)” or (complex_number, complex_number2). Inumber1 is the complex dividend or numerator. Inumber2 is the complex divisor or the denominator. IMDIV function in Microsoft Excel is under the engineering function wherein it divides a single complex number by another complex number. This function is removed from “analysis toolpak add-in” and is available in Excel 2007 as standard. The IMDIV function is exclusively available if you have the downloaded version of “analysis toolpak add-in” in Excel 2003. Once the “inumber2” or “inumber1” are not in x + yj or x + yi form, the value #NUM! is being returned. Thus, the user can only use the “Complex() function in converting imaginary and real coefficients into complex number.